If you're thinking about buying a paramotor, you're probably wondering why they're so expensive, after all it's just an engine bolted to a frame... right?? There's actually a lot more to a paramotor than first meets the eye. But then again, you can buy a brand new small car for the price of a decent foot launched paramotor, and there's a lot more to a small car! So why are paramotors so expensive? Paramotors are so expensive because paramotoring is such a niche market. Being such a low volume, low demand business, it simply doesn't bring in enough profit to drop the prices any lower. Although it's now bigger than it's ever been, paramotoring is possibly the smallest community I've ever been a part of. Currently, there's simply not enough demand to scale the manufacturing to big factory operations. Most manufacturers produce them one at a time, and a big portion of the work is done by hand. Once the paramotor is in production, the manufacturer can relax. But what you don't see is hundreds of hours spent designing the paramotor, building a prototype, and then testing it. Testing will usually reveal some points that need changing and improving. So even more time is spent changing the prototype before more testing is carried out. When the manufacturer is ready to put the paramotor into production, the first thing to consider is the cost of the workforce. 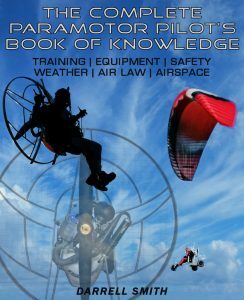 You can't get engineers to build paramotors for free, and then there's the rent on the business premises, electricity, insurance, etc. All business costs need to be taken into account. Welding equipment, presses, CNC mills and laths, sewing machines, these are all big bucks. There's not a massive amount of materials, this is why many people struggle to understand why paramotors are so expensive. But the materials needed for the frame, harness, engine, fuel tank, and propeller, all have to be taken into account. Welding wire and gas, TIG filler rods, paint, anodising, etc. These all add up! A paramotor frame and cage could probably be made in a few hours. Cutting, bending and drilling aluminium tube is quick and easy, and placing it all in a jig and welding it up won't take very long at all. Some manufacturers are using parts that are CNC machined. CNC machines are big money, but they save a massive amount of time in the long run. You'd typically make 1000 parts at a time depending on their size, then store them until they need welding or bolting to a paramotor frame. This saves having to set the machine up every time you're building another frame, thus saving time. Building an engine is a complicated task. There are hundreds of parts that need to be made, or bought in from elsewhere, and then it needs to be put together. This is very costly and time consuming, and is the reason most manufactures now bring in their engines from a third-party source. The average engine will cost the manufacturer around $2000. Making the harness is also very time consuming, meaning many manufacturers also have a separate supplier charging them about $350 per harness. Propellers take a long time to make and balance, this is why they're so expensive, and why most pilots shed a tear when they break one. Many manufacturers make their own propellers, some buy them from a separate supplier. Fuel tanks will need to be blow moulded, which will require expensive tooling, as will other plastic parts like the airbox for example. There will also be a lot of jigs involved for building the frame and cage, these all cost time and money to produce. This is just a few of the things to consider. 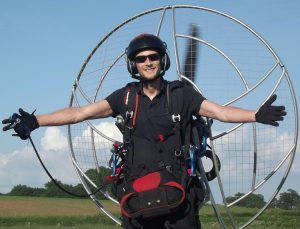 If you add up everything above, plus all of the man hours that go into creating a paramotor, you'll see that the profits for the manufacturers really aren't that huge. 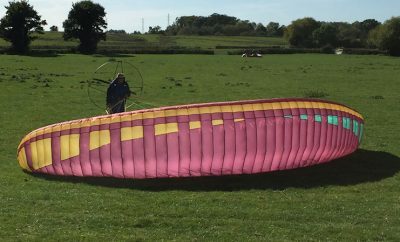 Why are paramotor wings so expensive? Why the heck is a piece of fabric so expensive? It's just nylon, and the same surface area of a bunch of nylon t-shirts wouldn't cost $3000! All jokes aside, there is actually a massive amount of work that goes into making a wing. The material costs may be very low, but you'll never believe the hours of labour involved. You also have the same issues as paramotor manufacturers face - low volume and low demand. If they were selling hundreds of these every day then things would be different. As you'll discover in this video, it takes about 90 hours to build a wing over the space of 2 weeks. There were 14 people involved in the production, and they all needed paying! On top of this, it's a highly skilled job with no room for error. All of these workers will go through hours of training at the expense of the manufacturer. Lives depend on their work, and so does the manufacturers reputation in the sport, so this training is important. Obviously the times will vary depending on the manufacturer, but this gives us a very good idea of how labour intensive it is to create a wing. And wings have evolved quite a bit since this video was made, so it'll likely take even longer now. There are also expensive machines that are used for cutting the materials, industrial sewing machines for stitching them together, and special machines for testing the wings once finished. Before all of this magic happens there is also heaps of R&D, designing the wing, and creating a prototype. When the prototype is made, the wing will go through intense testing to ensure it's safe to fly. Test pilots will then put the wing through its paces by pulling high G manoeuvres, inducing collapses to check recovery times, and testing flight characteristics. The wing will then be given an EN rating and/or DGAC approval so that pilots know how safe the wing is, and what pilot skill level is required to fly it. A wing may fail the tests which means the manufacturers will have to redesign the wing and try again. With this in mind you can see why a paramotor wing is so expensive, you're paying for half a month of work, plus a wing that you can put your faith in. This sport is expensive, and when you first start paramotoring it is a big investment to make. But once you have the equipment, it will last you for many years, and for hundreds of hours of flight. In THIS POST, we discovered that flying my paramotor for a whole 90 hours, which is a years worth of flights, only costs me £526, or $700! So yes it does cost more than buying a nice car, but running it is super cheap, and a car can't fly now can it! The fact that buying a paramotor is so expensive is actually a good thing in some ways. For example, the expense keeps a lot of the knuckleheads out, meaning we get to enjoy the freedom of an unregulated form of aviation. If paramotoring was cheaper, we'd have a lot of idiots entering the sport, and people with a disregard for the rules, and common decency. This would lead to more accidents and complaints, and could ultimately end up with us having to obtain a license to fly, displaying identification markings, and carrying a transponder. You can't put a price on having fun, and I've never had a problem spending a lot of money on creating awesome memories. To spend roughly £9000, or $14000 for the freedom of flight, something most people can only dream of, has been absolutely fine with me since the moment I discovered the sport. Paramotors are expensive, but if you want it bad enough then it's within reach of everyone! If you still think paramotors are expensive, and you can't justify spending so much money on one, consider buying a used paramotor and wing. If you're patient, and you know what to look for you'll save a heck of a lot, so take a look at my budget paramotoring post HERE. You can also find out exactly how much I'm spending on things like fuel, parts, insurance, and gear in THIS POST. Remember, paramotors are so expensive for a reason, and I personally don't think we're being ripped off. Helmets can also be pricey, but all of the other gear that you need can be found very cheap. Take a look at my recommended gear section to get an idea of further costs.